A conversation with the manual. "This is a sport game". Cheers for letting me know that, manual, as from the picture you opted to go with for accompanying box art, I assumed it was about the annihilation of a race of unhappy subatomic mutants by the galaxy's least threatening looking asteroid. "You must be strong and fit to be a professional tennis player". Again, thanks for the arbitrary information of no relevance, manual, but, if you were truly interested in being helpful to the consumer, then it might have been wiser to point out the superhuman eyesight required to play a fast moving tennis game on the Watara Supervision. 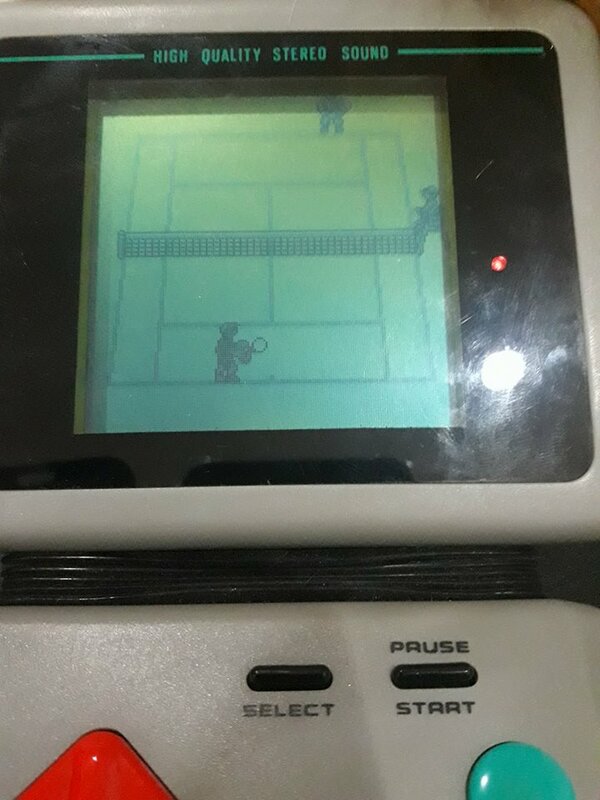 "Let's see how well you will perform in this Tennis Pro 92 game!" "Our computer player is tough to beat!" "You need to run fast and make quick decision for return shot"
...which involves trying to return a ball you often can't see while ambling about like a demented dimensional shambler. ​"and be wise to choose the various shot types." Ah,yes. The various shot types of which the manual claims there to be eight and yet seem to consist, no matter what button combination you press of the exact same two shots again and again forever: unsuccessful lob or 'normal'. Every expense is spared to make the game as minimalist as possible. Look at that dazzling array of options on the title screen! 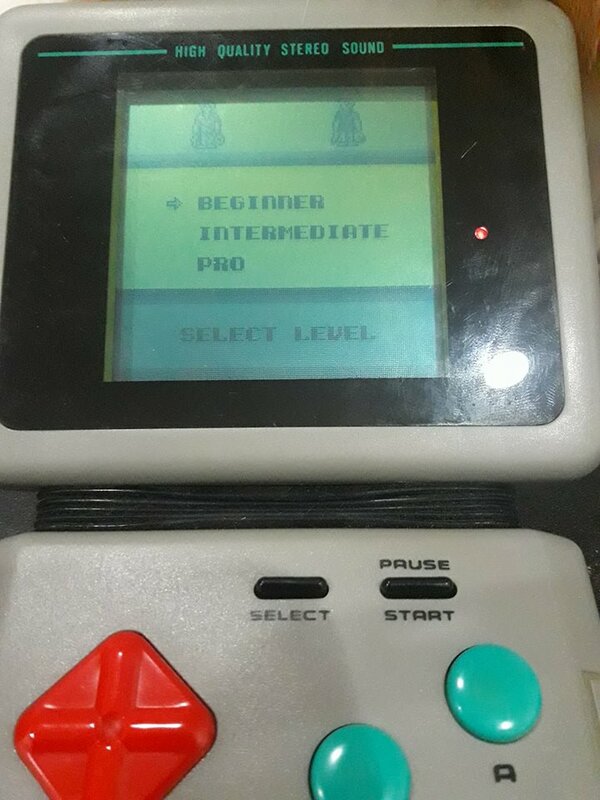 1 Player mode you say! What a time to be alive was good old 1992! I understand the decision to cut down on in-court detail when trying to make a fast moving sport game work on the Supervision, but did that minimalism really need to extend to every aspect of the game's core being? A nice enough little ditty on the bare-bones title screen aside, B.I.T.S haven't even gone to the effort of animating the games one scoreboard cut-scene and, in-game, the only thing you'll hear, except the bloop of your ball being struck, is the eerie roar of the crowd every time the CPU puts the ball past you. There's not even the option to cut your misery by opting for a limited number of sets. 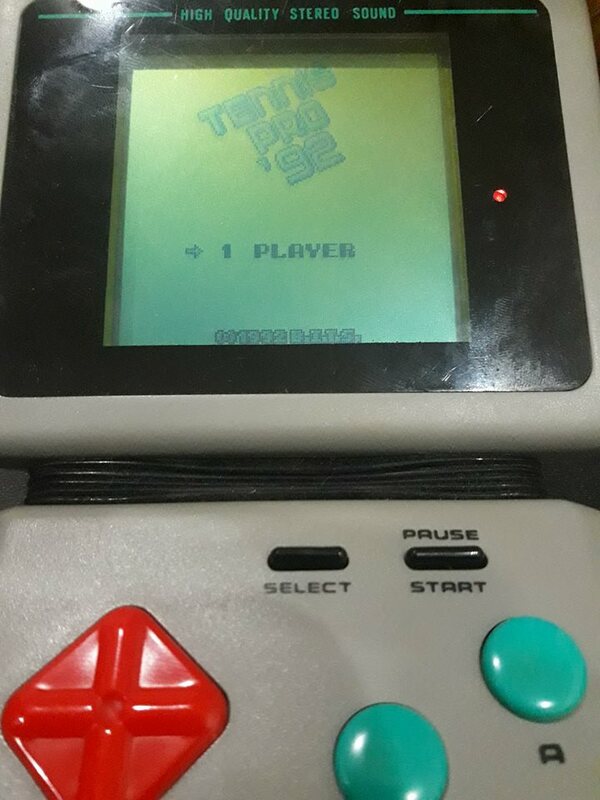 The game forces you to play 2 and only 2 each time. Ultimately the game can be beaten easily on 'beginner' by adopting a 'make CPU run to the right then return to the left' pattern. 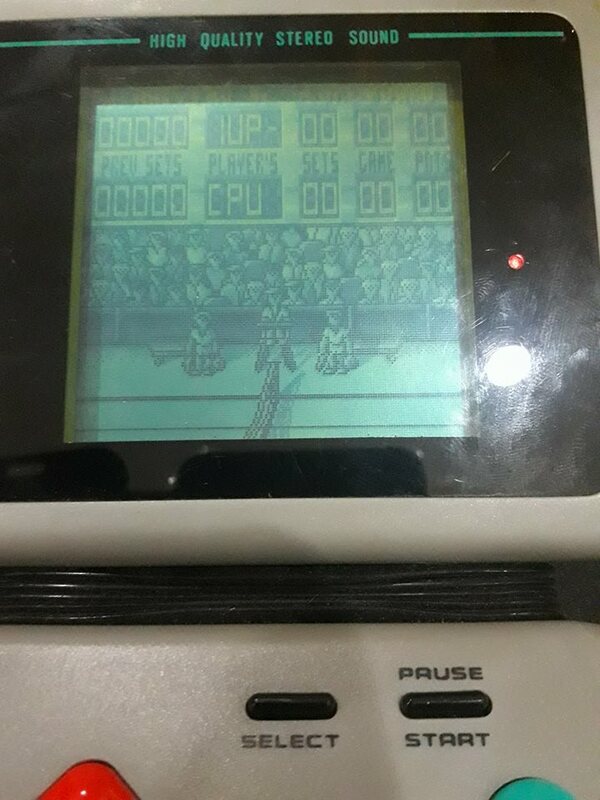 While this is a tactic that works on other simple tennis titles (Neo Pocket Tennis on the NGPC, for example) those other games at least compensate by having something...anything in the way of character or individuality to them. 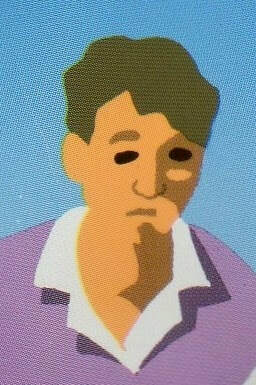 ​On the two higher difficulty levels, you'll be switching the Supervision off in frustration as the CPU suddenly becomes the mutant equivalent of Andre Agassi (or at least the '92 version) . 'Easy', 'ridiculous' and 'impossible' would have been better. Lifeless automatons one and all! But wait! What's that, manual? You have one last bit of information to give out? Oh, very well...go on then. "A game can end in victory for the player!" "If the player loses, he bows his head and cries."